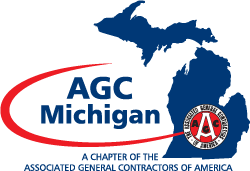 The Build Michigan Award was established in 1995 by the Professional Service Provider Member Council of the AGC (Associated General Contractors) of Michigan as a way to recognize project and project team excellence. For the second year in a row, Future Media Corporation produced AGC’s projects awards video highlighting 12 exceptional construction projects nominees for 2015. We also produced AGC’s annual awards luncheon which featured the Build Michigan Awards video.